Barometric pressure sensor with superb accuracy, good long-term stability in an all-metal housing for robustness. 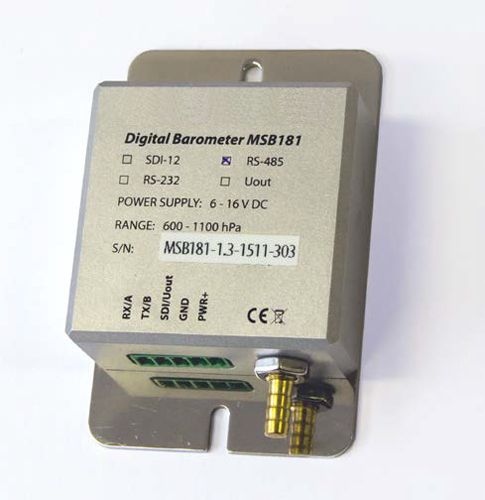 WMO compliant accuracy and long-term stability with a simple to integrate RS-485 digital interface. Analog and SDI-12 output also available. Certified for civil aviation use in small airports and heliports. 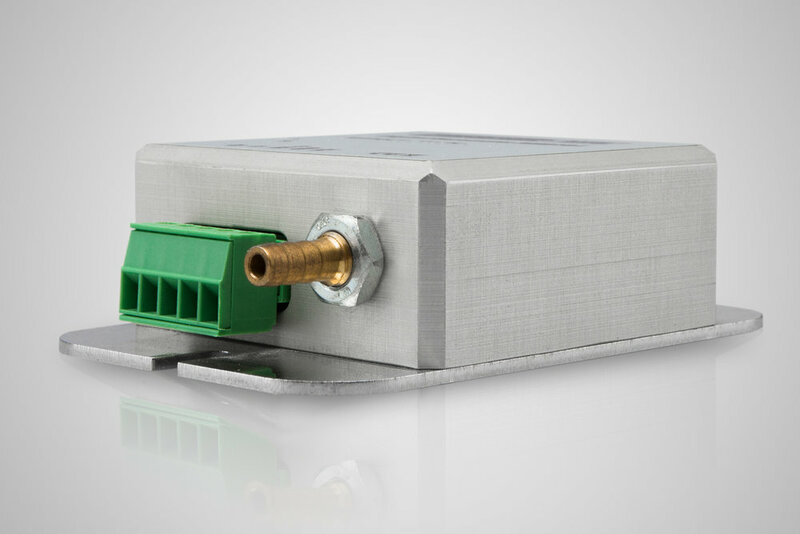 Temperature compensated from −40 °C to +60 °C assures accurate and reliable pressure data for your meteorological applications. 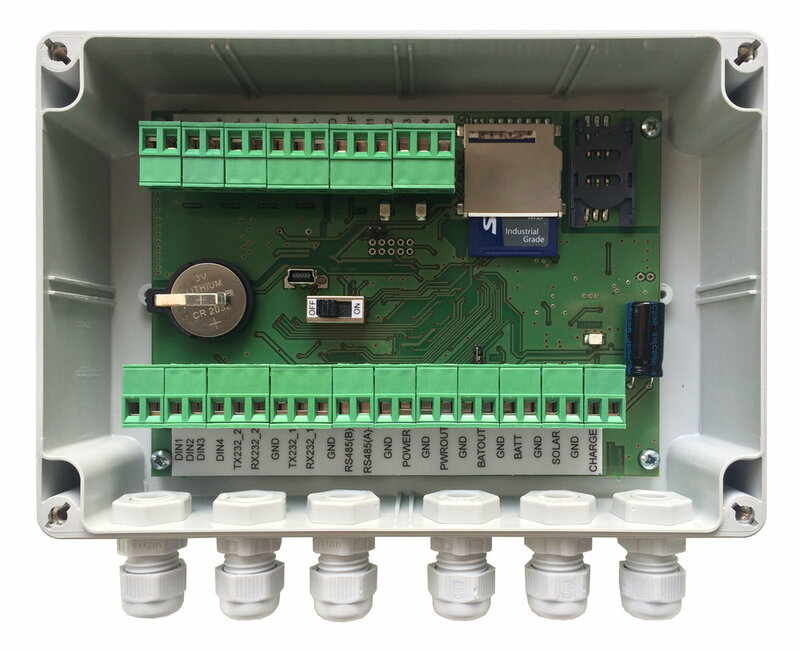 Plug-and-play setup is assured in combination with EasylogGSM wireless weather station data logger. RS-485 output assures industry compatibility and a robust interference resistant communication interface. Heliports and small airports benefit from the accuracy, stability and compactness of MeteoPressure sensors. Seamless integration with our meteorological data loggers allows cost-effective solutions for AUTO-METAR generation per ICAO guidelines for small airports. High quality pressure data to WMO standards is not cheap, but it can be affordable. This robust metal cased professional meteorological atmospheric pressure sensor has robust features like a sintered metal filter to assure long-term measurement stability and reduce your maintenance.